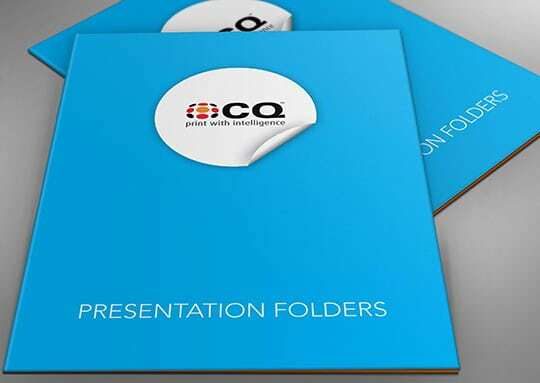 We have a variety of different presentation folders available for you. 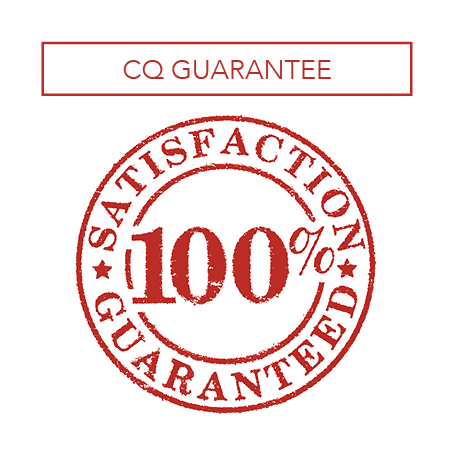 Talk to us about what’s best for your business. 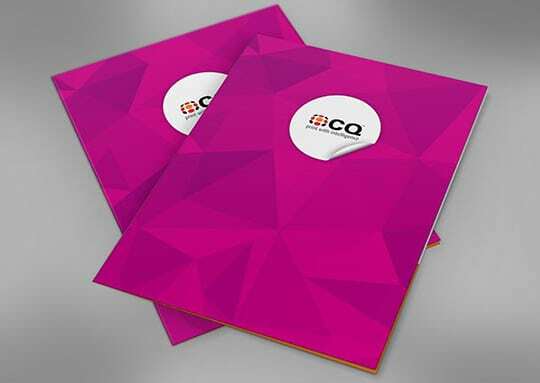 • FREE quotes available, [email protected] a design? We can help. 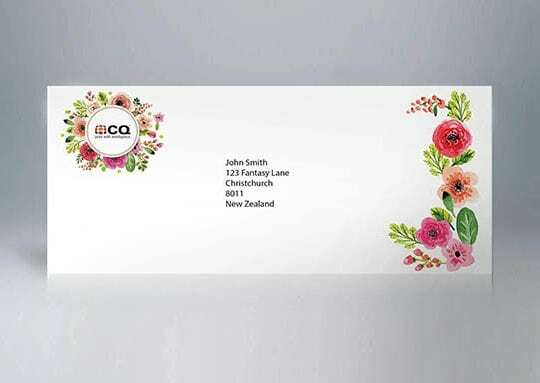 Ask to speak with our in-house designer to create an eye catching design. Sizes: To fit A5 or A4. Print: Full colour or black and white. 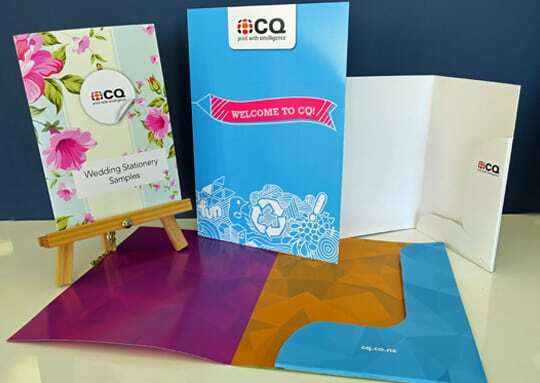 Single or double sided printing. 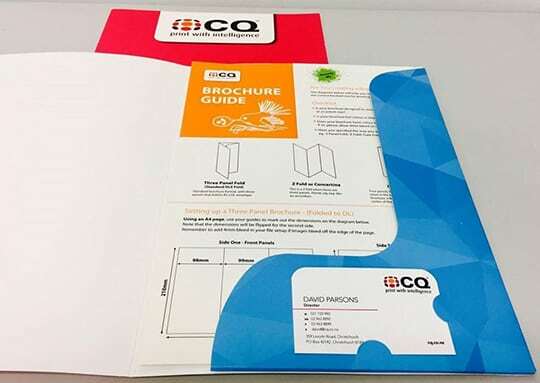 Finishing: With a single or double pocket, with or without a business card slot, option to laminate one or both sides. 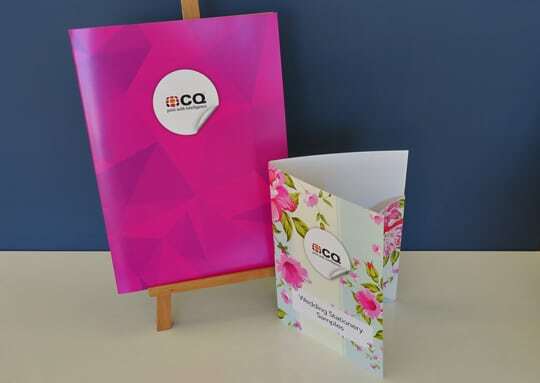 Sizes: To fit A5 or A4, 26mm up to 55mm wide spine. Print: Cover and spine printed full colour or black and white. 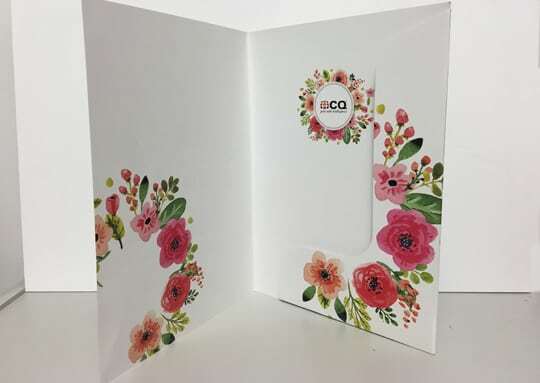 Finishing: Option to encapsulate the cover and spine. Other: 2D, 3D or 4D. 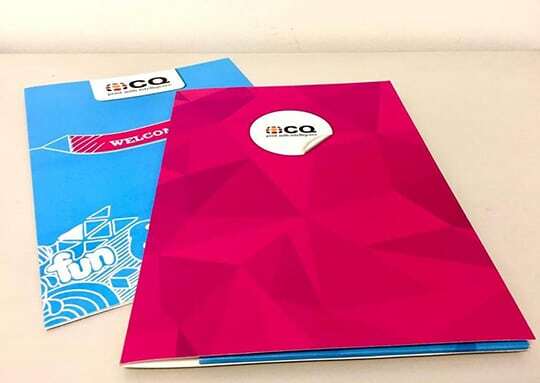 We can produce custom presentation folders from short runs to large runs. 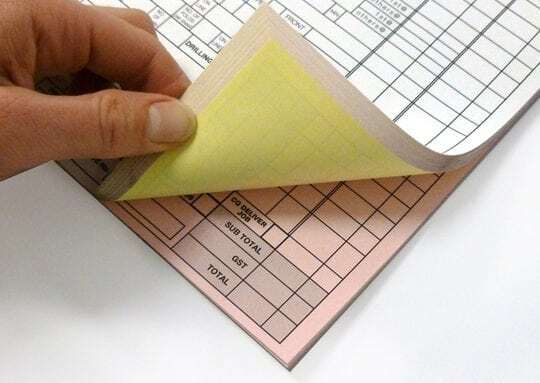 When printed on our oversize sheet you are able to print double sided including on the pocket. 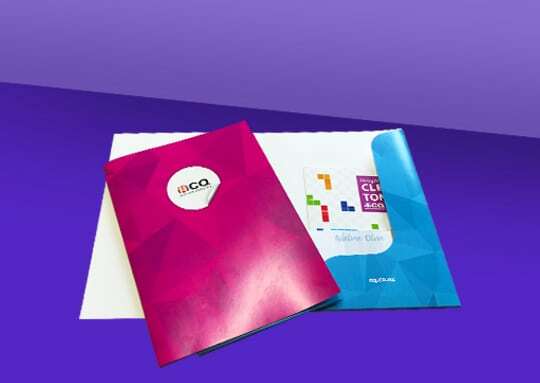 We can produce custom presentation folders from short runs to large runs. You have the option of a single corner pocket or two pockets. 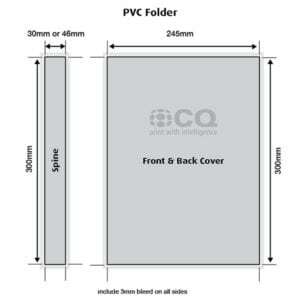 We have two different sized folders in stock. 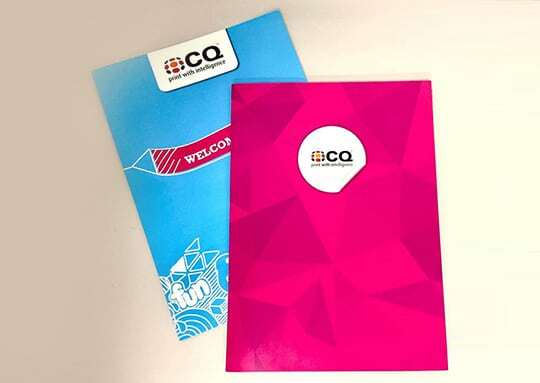 The smaller folder has a 200 sheet capacity and has a printable spine 30mm x 300mm. 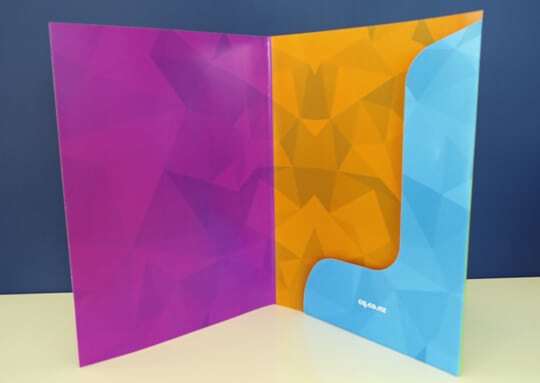 The larger folder has a 300 sheet capacity and has a printable spine of 46mm x 300mm. 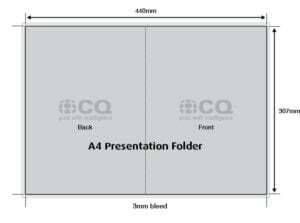 The front and back cover size is the same on both and is 245mm x 300mm. The spine and covers can all be designed full bleed. 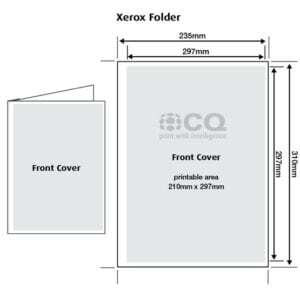 Because of the way the Xerox folders are constructed you can only print on the front cover. 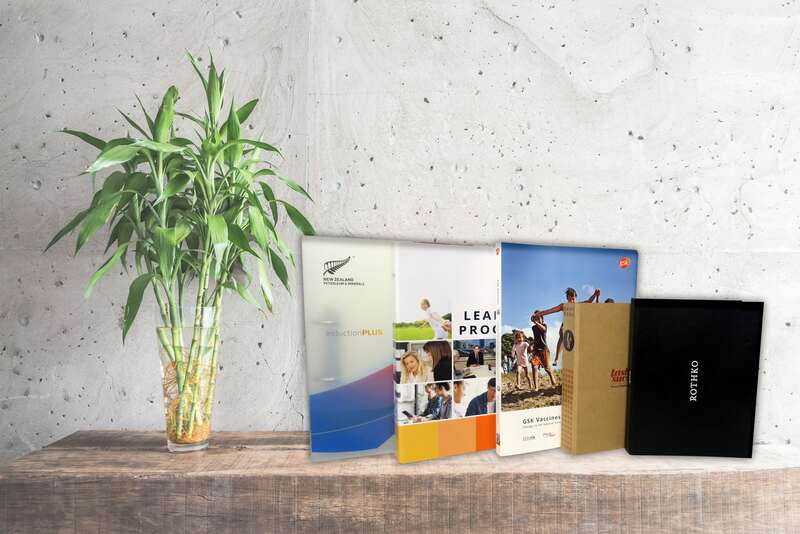 In the image below the grey area indicates the printable area of the page (note that because these folders are precut we can’t print full bleed). 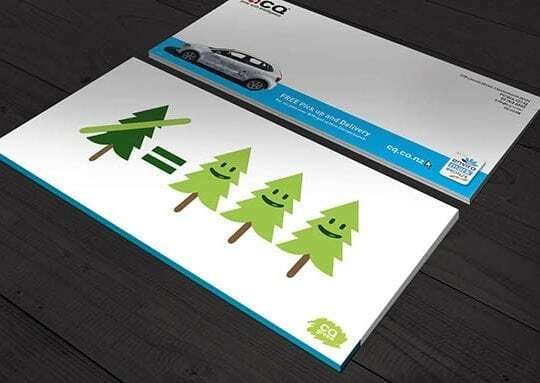 The page size should be 235mm x 310mm, while the printable area is A4 (210mm x 297mm). 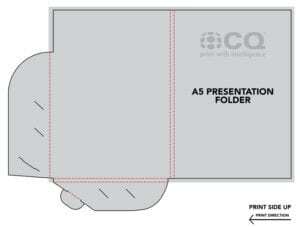 Use the below template to create custom printed A5 presentation folders.